Sam Wilkin is a senior advisor to Oxford Economics, one of the world’s leading economic forecasters, and Oxford Analytica, a geopolitical advisory firm that counts among its clients more than 25 world governments. He is also a fellow at the Watson Institute for International and Public Affairs at Brown University in Providence, Rhode Island, USA. 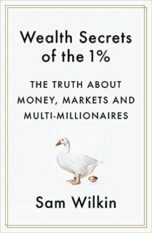 His book, Wealth Secrets of the 1%, published by Sceptre, was an editor’s choice of the New York Times Book Review and an Amazon.com Book of the Month. 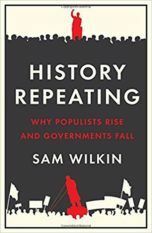 His new book, History Repeating: Why Populists Rise and Governments Fall, from Profile, seeks to explain today’s political turmoil by showing how and why it has all happened before. He lives in Providence.